New York, USA: After breathtaking rounds of upsets and highly competitive games, in the end CLijsters emerged winner, unscathed defeating all in her way convincingly. Newyork, USA: Women’s Singles started with 4 seeds tumbling out, including the 8th seed Na Li of China. 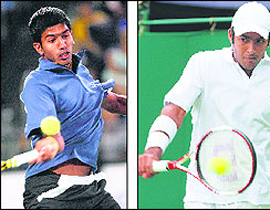 New York, USA: The 16th seed Indo-Pak pair of Bopanna and QUreshi have set up a dream final date with Bryan brothers.